Almost 20 years ago I started to travel to Denmark to improve my karate. Anders from Copenhagen joined us for the last summer class. He started his own training in Greena and Aarhus with some of the instructors I knew from early 90′. Kyle, who returned from Matsuyama was one of our guests. Gabi, whom I last seen about 15 years ago in Romania came and trained as well. 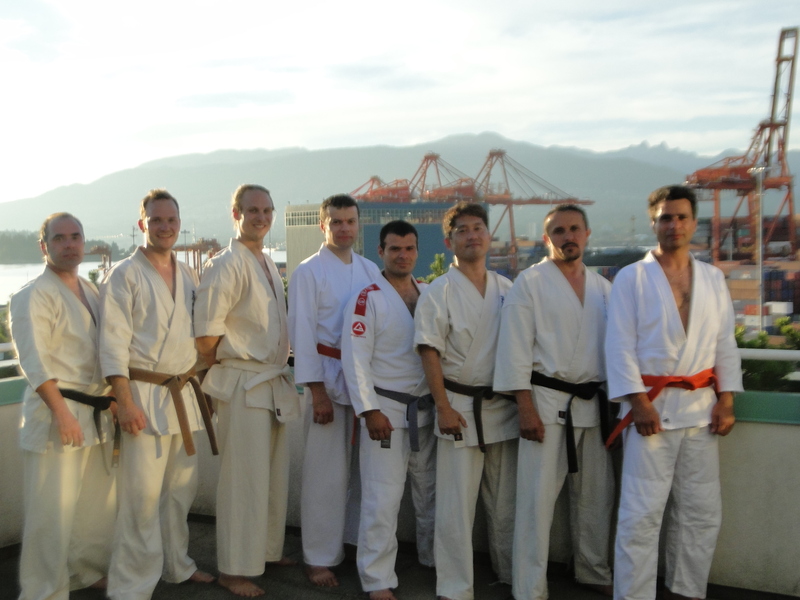 Don’t forget if you ever travel to the West Coast, you are always welcome to our dojo. The invitation is out there, so let’s see who is our next guest.